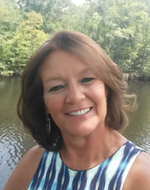 My name is Teresa Poole and I joined Beach & Forest Realty as an agent in July of 2015 and come with many years of real estate sales experience under my belt after receiving my real estate license in 2006. I service the oceanfront areas from Little River to Murrells Inlet, inland to Carolina Forest, Conway as well as the rural areas of Aynor, Loris and Green Sea. I moved to South Carolina in 1993 from Eastern Kentucky. I live in Loris, SC which is a rural part of Horry County. I have a beautiful grown daughter, granddaughter, my mother, a spoiled rotten dog and a talking bird. I feel I have the best of both worlds, I can live in the country and work at the beach and see the ocean every day. I like to enjoy all the fine restaurants and entertainment the Grand Strand has to offer. Great shopping is abundant, water sports, golfing and so much more. I love the thrill of the search for property and finding the perfect fit for my clients. I listen to their needs & wants in a property and don't stop until I find it. I pride myself on being loyal, honest, hardworking and work with integrity in my professional and daily life. I want the best for my clients. I have made a lot of friends in clients along the way and will always remember the smile on their faces when they bought their perfect home, condo or vacant land. The road to buying real estate can be hectic but why not call me and let me help you navigate from the beginning of finding that property to signing on the dotted line at the closing table. My job is to make sure you are happy and the transaction goes smoothly and the experience will be one of the most memorable in your lives as it should be.... CALL ME TODAY FOR ALL YOUR REAL ESTATE NEEDS!! !